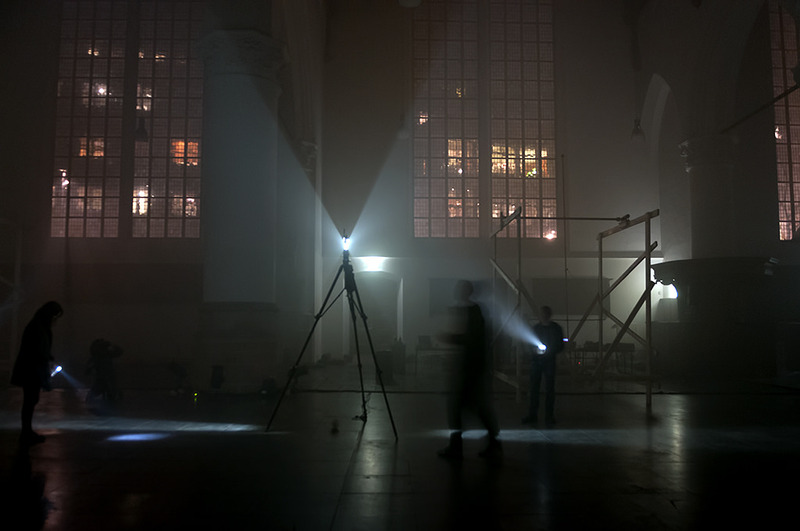 Dieter Vandoren and Mariska de Groot present the installation LFS1 at the Shiny Toys Festival. Shiny Toys is a unique festival for auditory, visual and audio-visual art held annually in Germany’s Ruhrgebiet area. A full line-up of extraordinary artists will present works that explore the cadence and rhythm of our time. Shiny Toys aims to juxtapose, to connect, to challenge and to surprise. The various activities set to play out over the course of the festival weekend guide the rhythm of the exhibition, set the tempo and exert an influence on the spaces in which they take place, coming together as a whole to create a temporary bubbling hub for interaction between diverse artistic disciplines in various aggregate states.